It’s Friday night. The night most college students would be out drinking alcohol until they forget how miserable their lives truly are. But not you. You’re above that kind of nonsense. You’re not one of those SHEEPLE. But there are plenty of fun things you can do that don’t involve alcohol. Just because you don’t consume the Devil’s Nyquil doesn’t mean you can’t go to a party anyway! You can always show up, dance, let loose, show everyone you meet pictures of a liver with cirrhosis, or even steal the alcohol so no one else can drink. And it’s a win/win, because now you have plenty of alcohol to disinfect every cut you might have. SEE YA, YALE HEALTH! The Jewish Sabbath is celebrated on Friday nights, so instead of hitting up a party, you can always go pray to the Jewish God and repent for your sins. Just make sure to leave your pork, shellfish, and foreskin at home before entering a Jewish house of prayer. 3. Watch the entire Air Bud series. There’s nothing more fun than watching the 5 original Air Bud movies, the 7 Air Buddies movies and the 2 Santa Paws spin offs. Relive all the magic of a dog being better at sports than most children, the children of Air Bud working together to fight ghosts and uncover treasure, and Santa’s Dog saving Christmas, I assume? Honor the memory of late dog/actor Air Buddy who was taken from us too soon of synovial sarcoma, one of the rarest cancers in the entire world. We hope you rest easy, Air Buddy. Your tremendous acting prowess lives on in all the horrible sequels you inspired. Art History has always been known as the most exciting of all the academic disciplines. 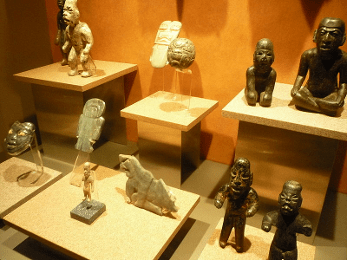 If you have a free night, why not brush up on some Mesoamerican sculptures, like the Olmec Colossal Heads, or the beautiful art form of stele? If you plan on being free next Friday you can just write your first draft tonight and your final copy, ready to be sent to your publisher, next week. Just because your roommate is too selfish to talk to their own family, doesn’t mean you have to be. Introduce yourself to the entire extended family, talk about your day and your interests, and make a real connection with the people who gave life to your roommate. Hopefully they’ll eventually adopt you, and maybe your college roommate will become your FOREVER ROOMMATE. Blood is thicker than water. You just want a quiet night in while other people are getting wild? There’s nothing more therapeutic than organizing your campaign for Kentucky’s 6th district State Senator. C. B. Embry has been undefeated in every election since 2002, winning every election by huge margins. But that’s what makes this a challenge. Come up with some quirky campaign flyers, make a Twitter account, and just get your name and ideas out there. Trust me. The good people of Butler, Hopkins, Muhlenberg, and Ohio counties will see your effort and appreciate it. Best case scenario, you win the election. Worst case, you spent one Friday night standing up for what you believe in. Fire is one of the most calming plasmas, and nothing is more relaxing than torching a building and watching it slowly burn to the ground. Pick a building, preferably empty, but hey, we don’t judge. Setting it on fire is cathartic and way more exciting than some boring party with people you barely know doing stupid, drunk things. There’s a reason arson rhymes with fun!